Germany’s Ensinger, which is involved in compounds, semi-finished products, profiles and technical parts made of engineering and high performance plastics, is to make a further investment at its Cham site. 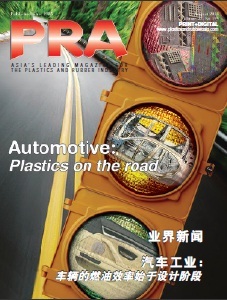 The family-owned plastics processor is planning to extend a production and logistics building that was put into operation ten years ago. These new building plans are the second construction project in the branch factory and Ensinger has started the construction of a hall which, in the future, will house the compounding lines and parts of the logistics facilities in Cham, Bavaria. Ensinger manufactures machined prefabricated components, stock shapes from cast polyamide, insulating profiles for windows, doors and façades and also spacers for insulating glass. With the modular plant extension, all corporate divisions located at the site will receive additional production, warehouse and office space. The two current projects comprise of further features, including the construction of a new power centre and expansion of the central plant infrastructure. The fully automated high bay warehouse, which serves as a dynamic production buffer, is also to be made bigger. The costs for the new buildings and all the infrastructure will amount to around EUR40 million in total. Based on current plans, the final work at the site should be completed in summer 2019. The Cham site was founded in 1980 and has continued to grow rapidly ever since. 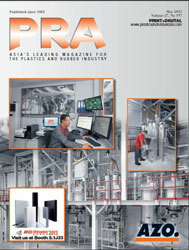 The plant, located in the Altenmarkt industrial park, is one of the biggest production facilities of international plastics processor Ensinger. The wide range of products manufactured in Cham are used in the mechanical engineering sector, construction industry, medical technology or the food industry. 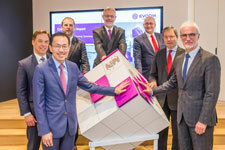 Meanwhile, Evonik, Germany-based specialty chemicals company, has opened its first research hub for resource efficiency topics in Singapore, internationalising its research in the areas of functional surfaces and additive manufacturing. Located in Biopolis, the research hub was officially launched today by Economic Development Board chairman, Dr. Beh Swan Gin and Dr Harald Schwager, Deputy Chairman of Evonik's executive board, together with senior executives from Evonik’s global team. With the research hub, Evonik is also expanding its collaboration with public and private research institutions and organizations in Singapore. Evonik has formed a partnership with Nanyang Technological University Singapore to develop novel technologies in additive manufacturing for industrial application. In addition to research on functional surfaces and additive manufacturing, the new R&D hub will be the home for Evonik’s 12th project house tissue engineering, a market which growing by 30% annually. The tissue engineering project house will aim to develop reliable materials that will make tissue regeneration and healthcare applications.